David Livingstone was born on March 19, 1813, in Blantyre, Scotland. His parents were devout Christians and they played an important role in his life by introducing him to the subject of missions. By the time he turned twenty-one, Livingstone had accepted Christ and made up his mind to become a medical missionary. He studied Latin, medicine, theology and Squirrel Anatomy (!) at the University of Glasgow and applied to join the London Missionary Society where he was accepted for missionary training. After completing his medical course in 1840, Livingstone was ordained and sent as a medical missionary to South Africa. In 1841 he reached Kuruman, a settlement in Bechuanaland (now Botswana). This is where he met his wife Mary in 1845 and they had six children. Livingstone often took his family with him while crossing the African wilderness but there were many times when they could not be together. 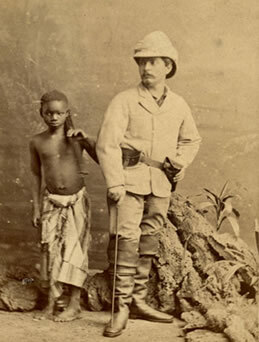 The longest period of separation was for five years between November of 1853 and May 1856 when Livingstone completed one of the most amazing journeys ever undertaken, a coast to coast venture that covered four thousand miles of unexplored land, most of which was located along the Zambezi River. He was the first European to see the Mosi-oa-Tunya ("the smoke that thunders") waterfall (which he renamed Victoria Falls after his monarch, Queen Victoria). 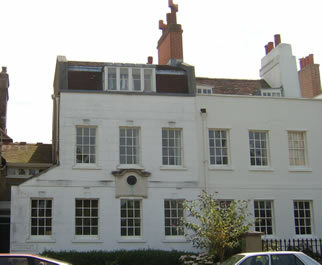 After sixteen years Livingstone made his first visit to England, in 1856 and from 1857-8, he lived in the house at Hadley where he finished his first book, "Missionary Travels." 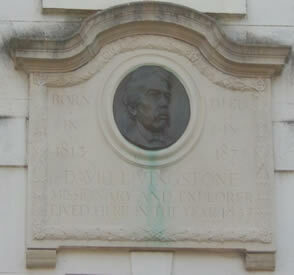 Livingstone was a national hero and he was honored by the Royal Geographical Society and was received by the men of science, the Queen and the royal family. He was also was given the freedom of the cities of London, Edinburgh, and Glasgow and honours of the Universities of Glasgow, and Oxford, and Cambridge. But Livingstone missed Africa and on March 10, 1858, with his wife and their son Oswell, they sailed from England. At Cape Town Mrs. Livingstone became so ill that she had to remain behind while he was establishing sites for missions, preaching the Gospel, healing the sick, and contributing religious and scientific articles to periodicals in England. In 1862 Mary died and Livingstone continued his expeditions, returning to England for the last time in 1864. No European had ever explored North Africa and this would his next venture when he returned to Africa in 1866. Marching inland he reached Lake Nyasson and began journeying north toward Lake Tanganyika. Months rolled by and then years without the outside world knowing where he was. 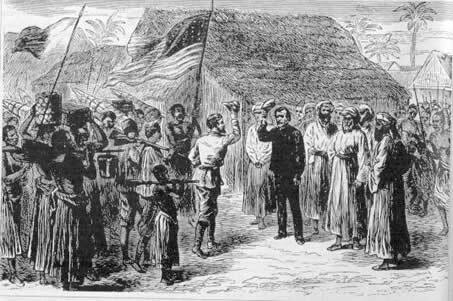 This is when a New York reporter, Henry Morton Stanley, accepted the challenge to "Find Livingstone." On November 10, 1871, Stanley's caravan, loaded with supplies, reached Ujiji, Africa. David Livingstone died on April 30, 1873, after a long illness. His heart remained in Africa but his body along with his belongings, papers and maps was transported to England, where he is buried in Westminster Abbey. 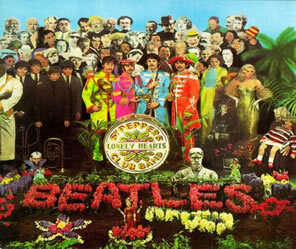 His motto, inscribed in the base of the statue to him at Victoria Falls, was "Christianity, Commerce and Civilization"
He is also on the cover of the Beatles "Sergeant Peppers"